This post has been read 15238 times! 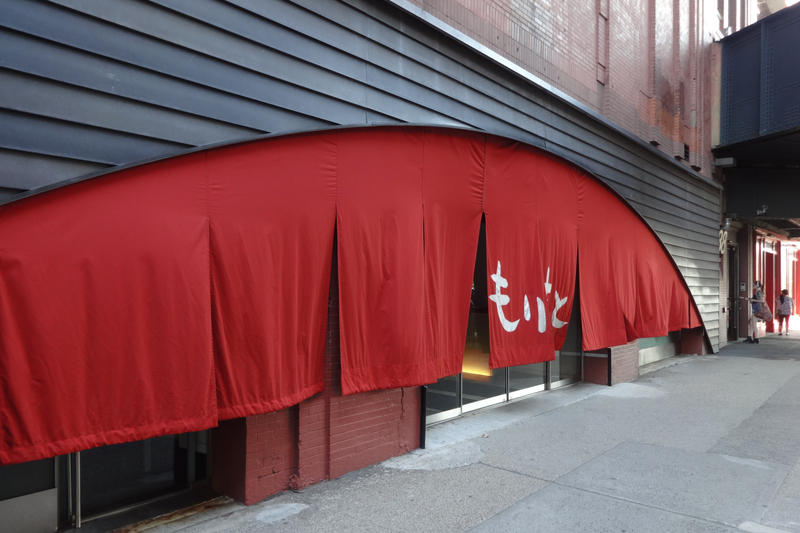 Well, it took me a while, but I finally got around to visiting Morimoto on 16th Street and 10th Avenue. 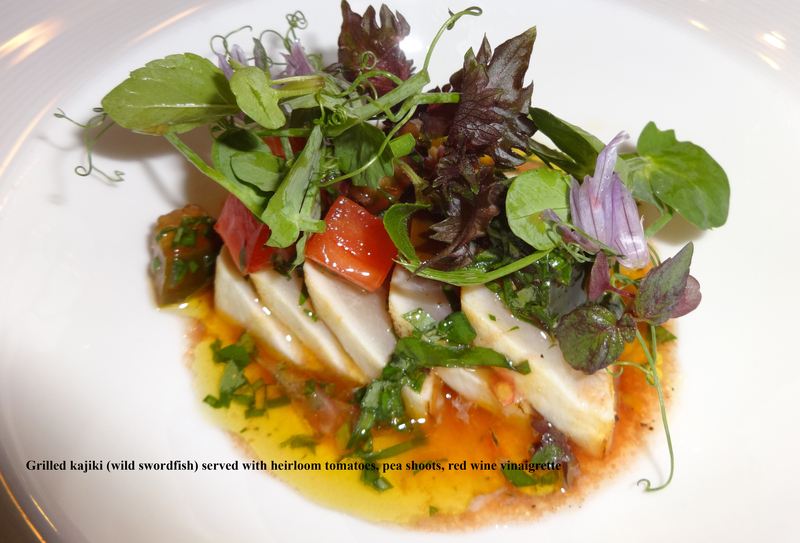 It is a joint venture between Stephen Starr and Chef Masaharu Morimoto. It opened in 2006, withstood the worst financial crash in history, and is vibrant and booming eight years later. After filming Brushstroke and Blue Ribbon Sushi, I wanted to continue my Japanese education. Tonight, I received a two-hour, 11 to 15 course (depending on how you count it), meal/class. It was one of the best dining experiences of my life. 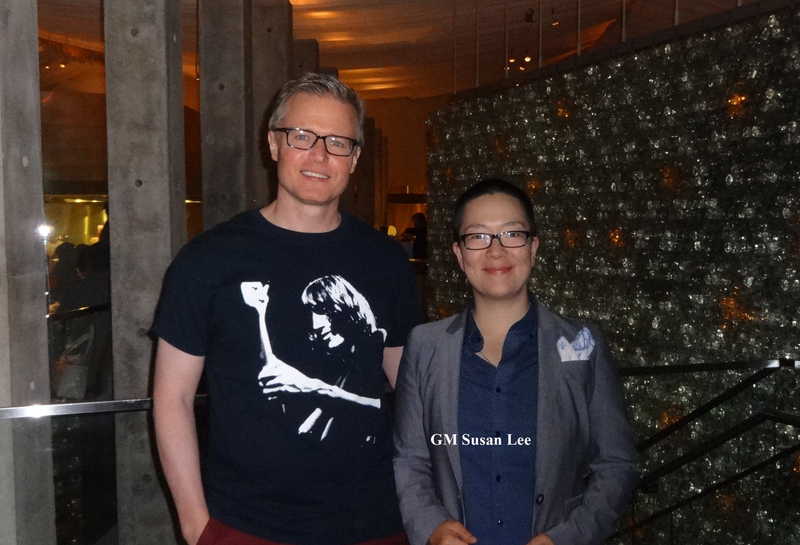 General Manager Susan Lee placed me right in front of the senior sushi chef, Robby Cook. He is Caucasian with a Japanese wife. How good is Robby Cook? Dining with me was a Japanese expert, Mr. Tham Khai Meng, the Worldwide Chief Creative Officer for one of the largest advertising agencies, Ogilvy & Mather (In other words, he is like a big Don Draper). 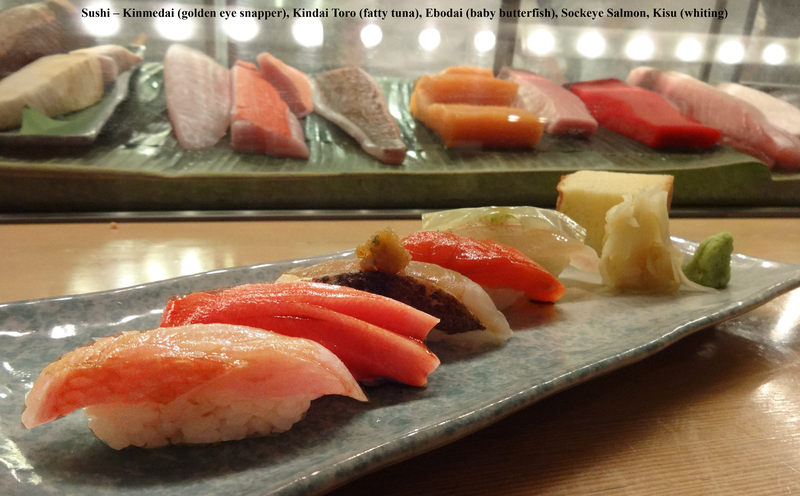 He had just landed from a flight from Cannes, France, and brought his family straight to Morimoto. I asked him why he liked the place, and he singled out Robby. 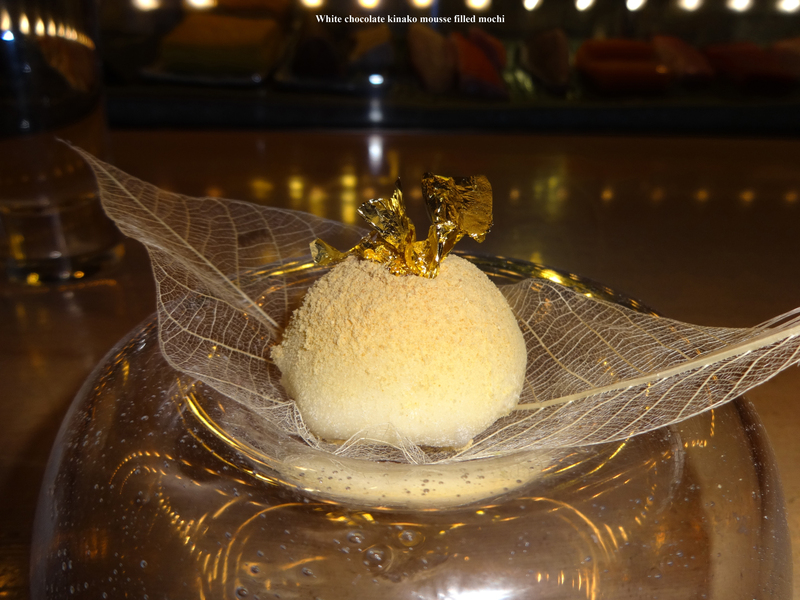 The atmosphere of Morimoto is hip and cutting edge, like a Meatpacking restaurant, but with fine dining quality. I started off with several sashimi servings. One was a swordfish fillet, grilled on the outside, raw on the inside, with a nice variety of texture. Then, the scallops arrived. They were baked on top of the shell, and served on a bed of smoldering herbal plants, giving off an aromatic smoke. 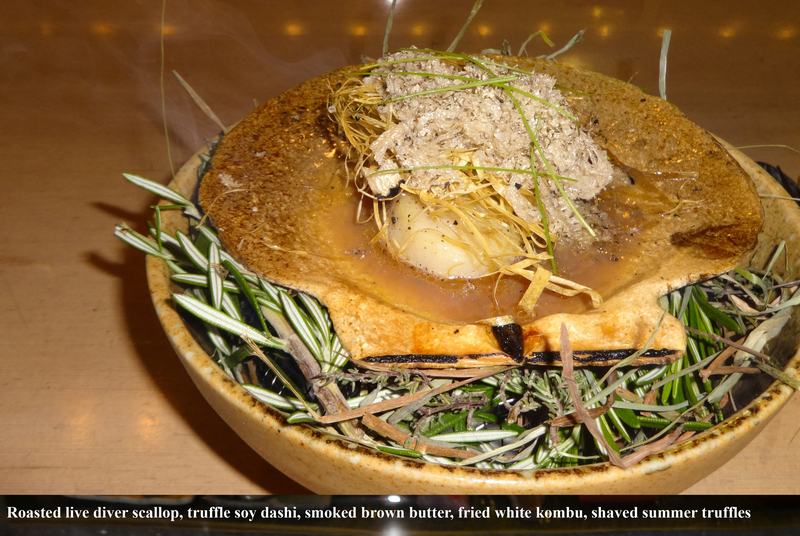 Chef Morimoto has created a type of Fondue, where one dips vegetables into a puree of fish. Then arrived five pieces of sushi. See the video for a great demonstration by Robby. Then, the Morimoto surf and turf came out. The spicy lobster was paired with a Kobe beef filet. 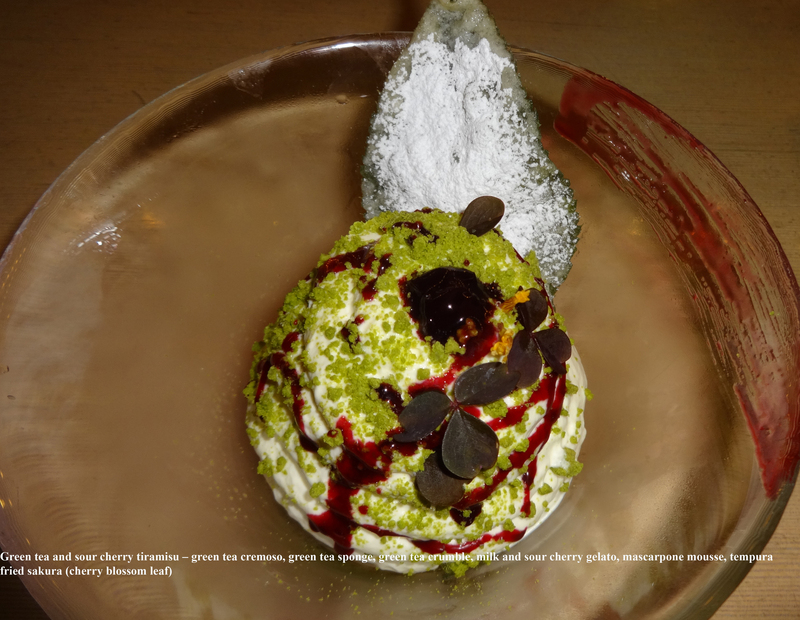 After a pallet cleaning sorbet in liquor, the first dessert was a the green tea and cherry blossom tiramisu. The sharp pronounced cherry flavor was quite unique and pleasing to my tongue. 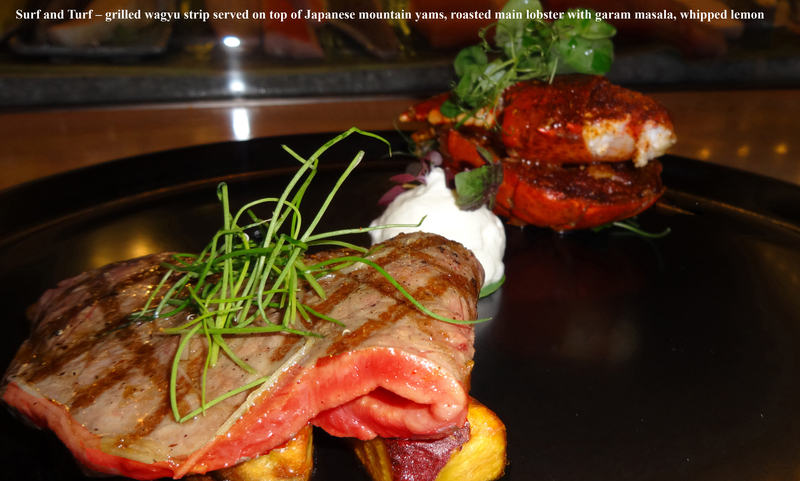 This entry was posted in Food Essays, Japanese, Reviews. Bookmark the permalink. It was such a pleasure to meet you. Quite honestly, I was envious of your dinner. What a wonderfully written article, great storytelling and the pictures are delicious. I greatly enjoyed reading it.